A leading Home appliances company in Sharjah- Green Square Elect. Devices Trading urgently requires 3 Ton Pick Up Drivers. About the company : Green Square Electrical Devices trading is one of the leading companies in the region specialized in all kind of Electrical Home Appliances. Generaltec Established in 1997, by Green Square Elect. Trading Devices Company. Generaltec offers the most comprehensive ranges in the home appliance industry they specialized in air treatment, refrigeration, laundry, large cooking appliances, large and small kitchen appliances, water appliances and Floor care. 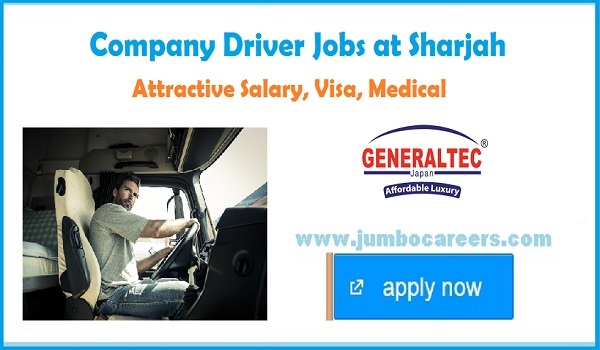 How to apply for company driver jobs at Sharjah? Latest pick up driver jobs at Sharjah? Driver jobs at UAE with Free visa.